No. 9 Marina is a full service marina located on Lake Eufaula with a ship store, fuel dock, pump out station, service repair, parts department, wet & dry storage units, RV storage units, boat sales, slips and HydroHoist sales. 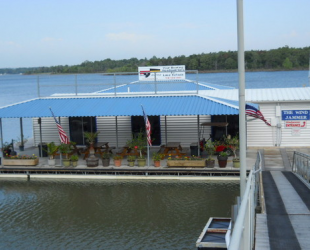 Our full service fuel dock is staffed with friendly & courteous dock hands that will welcome you upon your arrival. 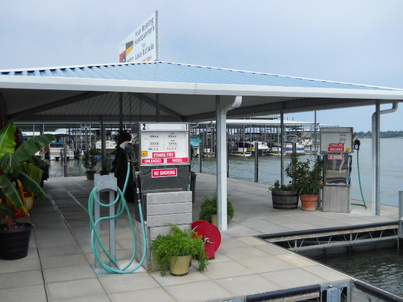 For your convenience we have 3 non-ethenol pumps and 1 diesel pump, and from the small personal watercraft to the large houseboat, the dock hands will accommodate you by pumping fuel in your fuel tank or pumping out your holding tank while you browse inside our shipstore. No. 9 Marina slip renters enjoy the convenience of our storm safe bath houses. 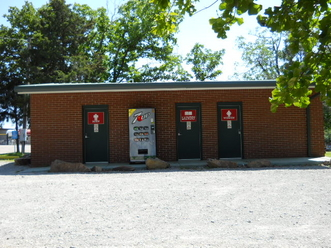 Each bath house has code entry men and women restrooms with shower and code entry laundry room with washer and dryer. 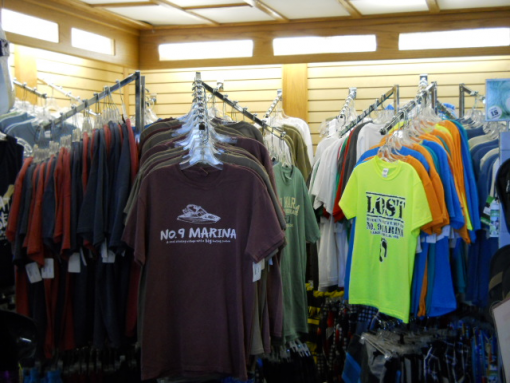 Our ship store has a wide variety of all the latest nautical fashions including sportswear, swimwear, t-shirts, hats, and sunglasses for men, women & children. 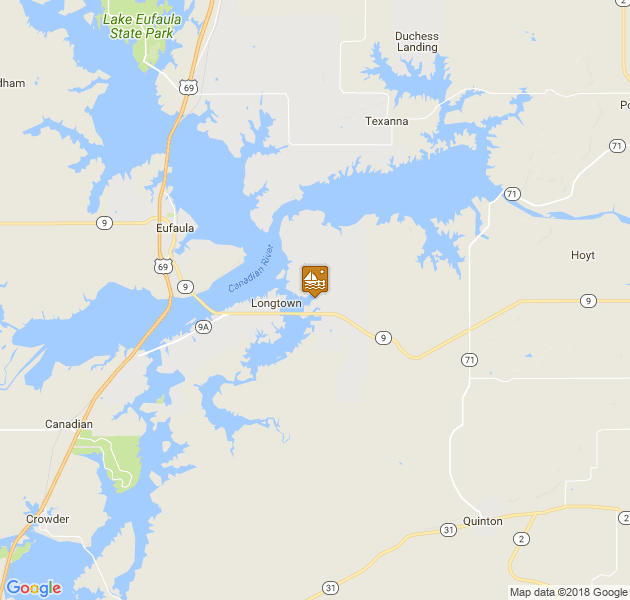 Not only will you find a full line of clothing items in the store, you might want to check out the selection of water sporting goods including skis, tubes, wakeboards, ropes, life vests and accessories. The Windjammer also stays stocked with your favorite snacks and drinks for that fun time on the lake.